Bidens alba (Beggarticks) is one of the most important nectar sources for pollinators in Florida. 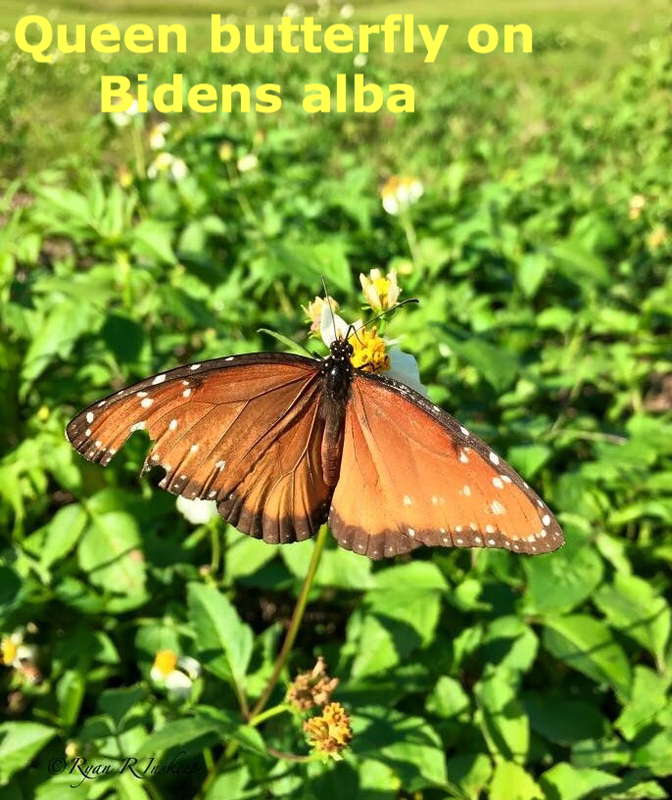 Say “Bidens alba” out loud to a group of gardeners and you are sure to get quite a reaction. Some detest its ability to prolifically reseed and spread everywhere, while some curse about those “needles” that stick to their shoes, clothes and pets. Some also think I am completely nuts for letting small patches grow here and there on our small urban lot. Bidens alba is a great example of a native “aggressive” plant but it is definitely not “invasive”. Read Invasive vs. Aggressive: They are not the same, an article by Ginny Stibolt where she clears up this common misconception. Once you have a patch of Bidens alba growing, you can not help but see all the life it brings in. I am not here to deny its ability to to spread like wildfire, but to say you can grow Bidens alba in a small garden setting by being diligent. Diligently deadheading before the seeds form and pulling up seedlings in areas you do not want it. The benefits to wildlife far out way our efforts to keep it in check. If you are one of those folks that spend a lot of time in your garden, it is not a big deal to keep this plant from getting out of hand. I walk through the garden every morning and pluck a dead head here and there and pull out an unwanted seedling that escaped the patch. Anytime spent in the garden, rather it be pulling weeds or planting your favorite native plant, allows us a wonderful opportunity to see the beautiful butterflies, birds and other critters up close. After all, no garden is maintenance free. 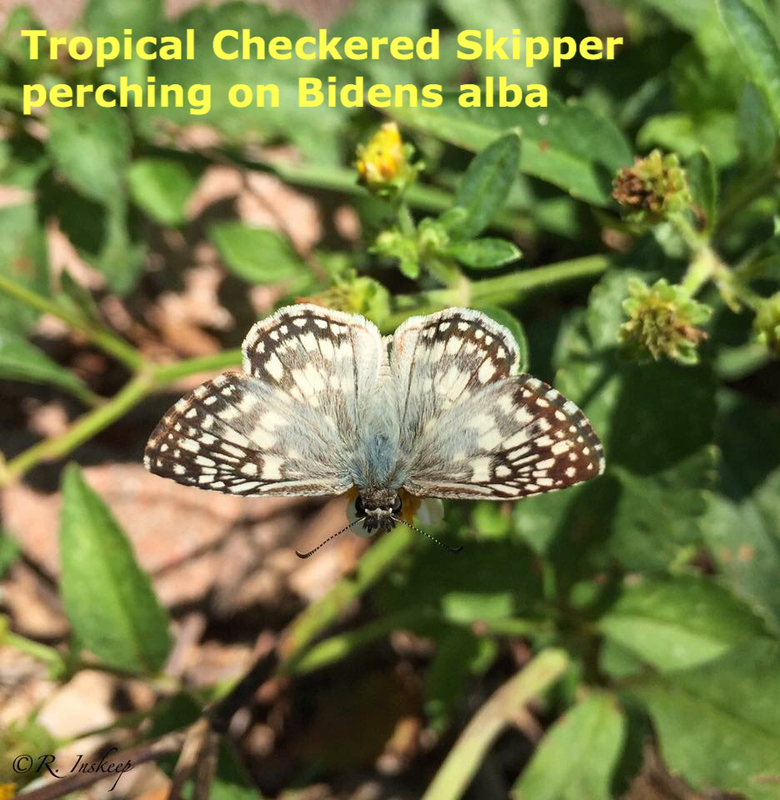 Let Bidens alba grow away from your main garden and you will start to see some awesome visitors. Pollinators galore! If you’re a rebel in your garden like I am and you don’t mind meticulously keeping this pollinator magnet in check, go right ahead and grow a patch next to your other prized wildflowers. Rethink using Bidens alba in the landscape and keep an open mind. Bidens alba is one of the easiest to grow wildflowers and attracts butterflies and other pollinators like nothing else.